If you ever crave a 20 minute vacation away from reality, one way to escape the ordinary is with a London Fog latte. For those who don’t know, a London Fog is a latte made with Earl grey tea, milk, vanilla and honey or another sweetener. 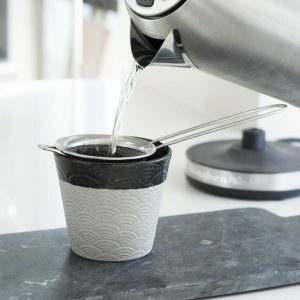 Most coffee shops, including Starbucks, brew up a nice version, but it’s very simple to create at your home or office. You can bring that small luxury home with a soap made from the rich combination of creamy and moisturizing oils. I make mine at the office when I need a quick afternoon pick-me-up. 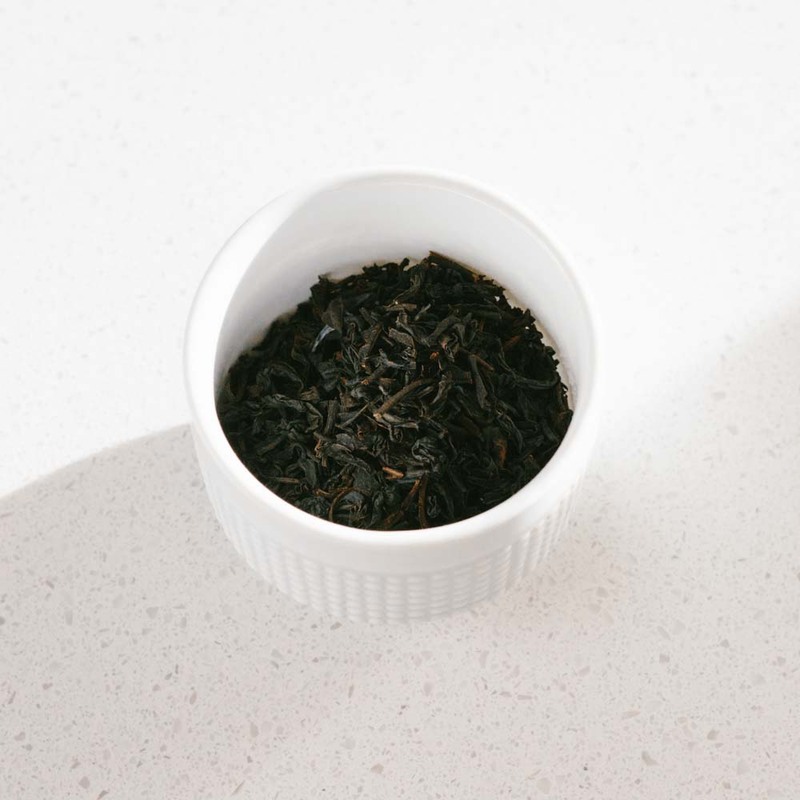 With one sip, the essence of black assam tea takes me to India, with a stop in Italy to pick up the bergamot, and finally, in ‘ol London Town. Because of that London Fog’s always reminds me of a small, affordable, yet slightly exotic luxury. Note: This recipe contains Palm Oil. 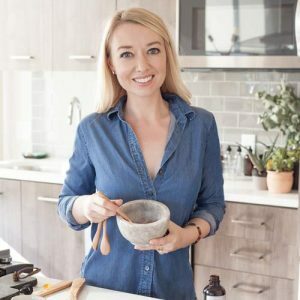 I use Palm Oil from a supplier that is a member of the Roundtable on Sustainable Palm Oil, but choose not to use Palm Oil or Palm Oil Flakes, you can always substitute with Babassu or Coconut oil. Bubbles are small yet lather is creamy. Scent is noticeable but not overwhelming. 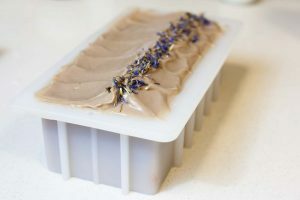 I went a little crazy here and attempted to create a combination of oils to produce a luxurious and creamy soap experience. My current favorite multi-purpose oil. The oil is extracted from the seeds of the babassu palm, a tree native to Brazil. It has similar properties to Coconut and Palm Oil, but feels lighter on the skin. 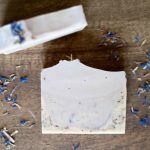 This oil has very strong cleansing properties and creates a nice, fluffy lather. 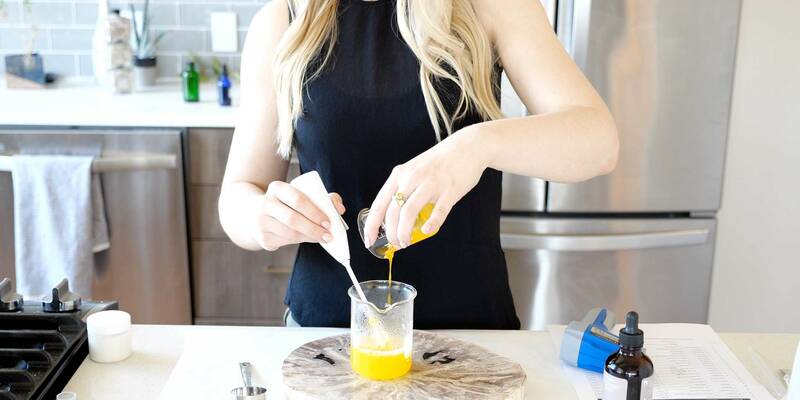 Too much coconut oil, and the bar can become drying to the skin. Helps create a super hard bar of soap. My current second favorite oil. Adds a luxurious, rich feeling to lather. Also super hydrating on the skin. A very popular soap ingredient. Low cost and provides a rich, creamy lather with fluffy bubbles. I like Palm Oil from sustainable sources. An oil with a very unique chemical composition that creates a rich, creamy lather unlike any other oil. This oil is extracted from brown rice. 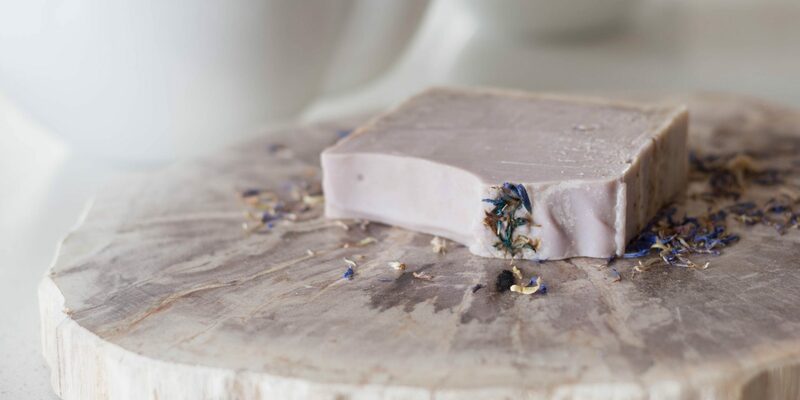 It creates a creamy and moisturizing bar of soap, similar to that of olive oil. It is a high quality oil, yet inexpensive oil. I used David’s Organic Cream of Earl Grey made with black tea, blue cornflowers, marigolds, with a hint of vanilla because I had it around. Any black tea would produce similar results. I chose to use a fragrance oil versus an essential oil for a few reasons. 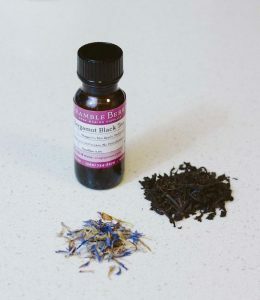 The biggest reason is the smell of the Bergamot Black Tea FO from Bramble Berry is too good not to use. It’s not quite like the real thing, but combine with the natural smells from the tea/lye water, it created a more natural, organic. The second reason is I’ve found the aroma of citrus EOs tend to degrade during the saponification process. If you prefer to use essential oils, you should experiment to find a combination that works to create the scent profile you like. As mentioned before, this is a beautiful fragrance. 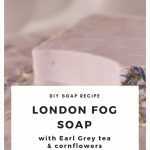 It’s not an exact replica of the aroma of earl grey, but combined with the real earl grey tea and other oils, it creates a wonderful scent perfect for a luxurious, everyday soap. I added the yuzu to make the citrus of the earl grey pop a little more. Alone, it smells like a yuzu candy. A very nice, pleasant honey aroma, but too sweet for me to be used alone. But, combined with the earthier bergamot tea FO, it’s wonderful. Measuring the tea to be added to the lye water mixture. Be prepared, the lye water will be much darker than expected. This is the color of the lye water. Both the lye water and the soap batter will be much darker than usual. You may need to add more colorant that normal to offset the brown color. Or, you can embrace the natural, rustic look. This is the color of the tea immediate after it was poured in the mold. As you can see, it loses the brown color and becomes a muted purple after the saponification process. The finished product has a rustic look with high moisturizing properties and barely there exfoliating because of the strawberry seeds. For those who don’t know, a London Fog is a latte made with Earl grey tea, milk, vanilla and honey or another sweetener. 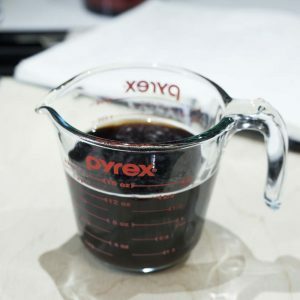 Most coffee shops, including Starbucks, brew up a nice version, but it’s very simple to create at your home or office. You can bring that small luxury home with a soap made from the rich combination of creamy and moisturizing oils. Organize work space with ingredients. Safety First: Put on gloves and goggles to protect from lye solution. I like to line my workspace with paper, especially when working with mica, which can get very messy. Measure my fragrance oils and disperse colorants into oil. This way, they are all ready when needed. Sometimes soap batter traces quicker than expected so it’s good to be prepared. 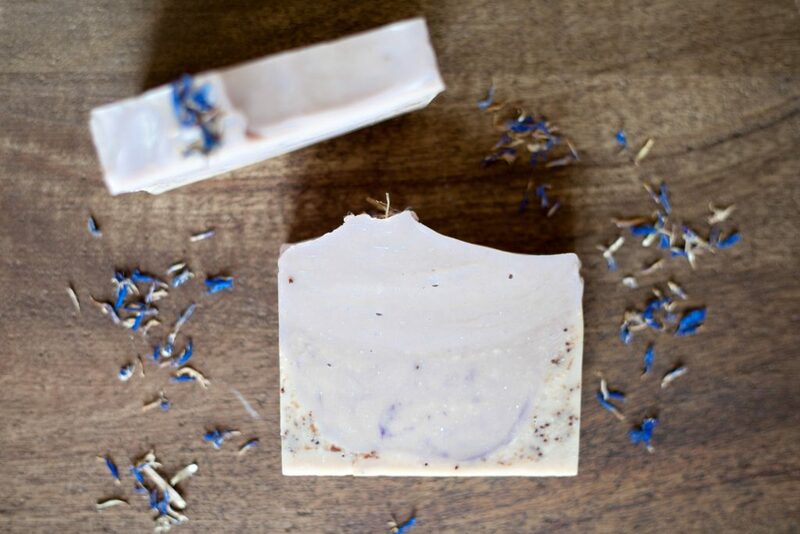 This soap uses tea mixed in with lye water. I suggest making the tea prior to starting the process. Boil approximately 8 ounces of water and a heaping amount or multiple tea bags of Earl Grey tea to water. Let infuse for 10 minutes. Color should be nice and rich. Set aside in refrigerator to cool. 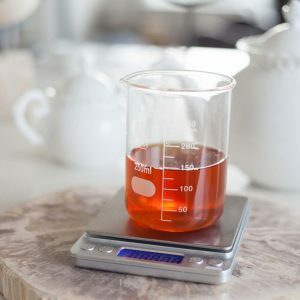 When cooled, measure out 5 ounces of tea and set aside. In another heat proof container, measure 7.16 oz of water. Add 5 ounces of cooled earl grey tea. Slowly add lye into water mixture while stirring with glass rod. Stir until lye is completely dissolved in the water. Set aside and let cool for approximately 15 minutes or until cooled to 110 degrees F (43 degrees C). NOTE: Lye water will be very dark and smell earthy and slightly burnt. This is normal. Add 2 sodium lactate. Stir to fully incorporate. When the oils and lye water reach 110 degrees, very slowly pour lye mixture into oils while gently stirring with unpowered immersion blender. 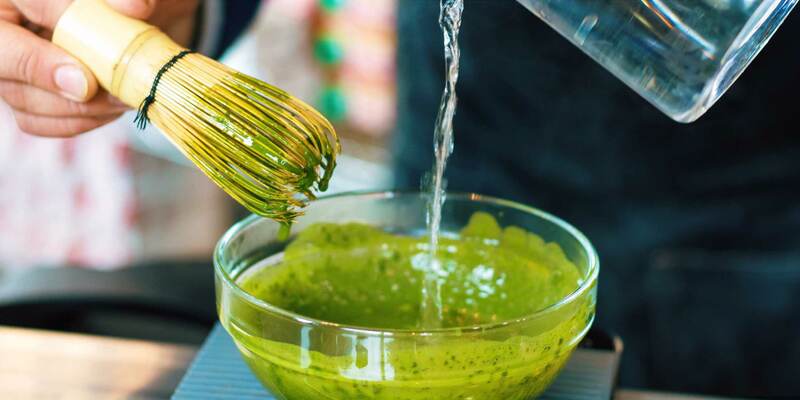 Once lye water is fully added, turn on fully immersed stick blender and blend until a light, very thin trace (thickness similar to a light cream sauce) is reached. Add fragrance oil blend. Plus stick blender lightly to distribute evenly. Be careful not to overmix. Pour each later into the mold starting with strawberry seed layer moving torwards the thicker batter. This will help to make a nice textured top. Use a spoon to create a textured pattern of choice on top. Add the corn flowers in any way you like. I added a straight line to the top. Press in gently. (If you press in too deeply, the lye can react with the lye and discolor flower). Spritz with rubbing alcohol to reduce soda ash. For this soap, I prefer the more rustic, matte finish achieved by avoiding gel phase. To achieve this, place the mold in the fridge for 12 hours. The soap should be ready to unmold after 3 days or so. If you have trouble removing the soap, let it set for another 24 hours and try again. Cut the soap and let cure for 6 weeks or until the soap is hardened.